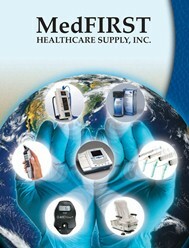 Gear-free DuraShock™ design is much more durable than traditional aneroids with gears. Part of our Silver Series, the DS45 Integrated features a unique integrated, cuff-mounted design that is compact and lightweight for ease of use. 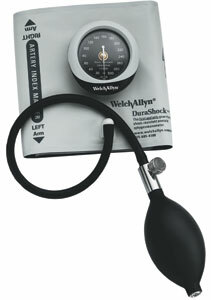 Shock resistant to maintain accurate blood pressure readings with lower lifetime costs - can withstand up to 30" drop and remain in calibration. Laser-engraved dial face for accuracy. Gauge rotates 360 degrees for easy viewing and snaps directly into cuff for quick cuff change. Large inflation bulb and high-quality air-release valve make inflation easy.